With the Profile Racing "No Boss Spline Drive" BMX Crank - Chrome you will get a solid crank "made in USA" out of 100% 4130 CrMo. This crankset has an absolute clean style because there is no sprocket bolt hole included so it is only compatible with spline-drive sprockets. 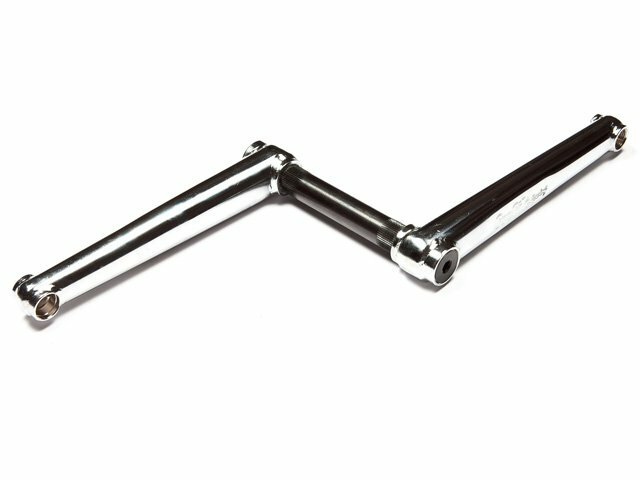 The Profile Racing "No Boss Spline Drive" BMX Crank - Chrome includes assembly tools.